KRI is more than a location, it is a place where innovative tech-transfer happens. 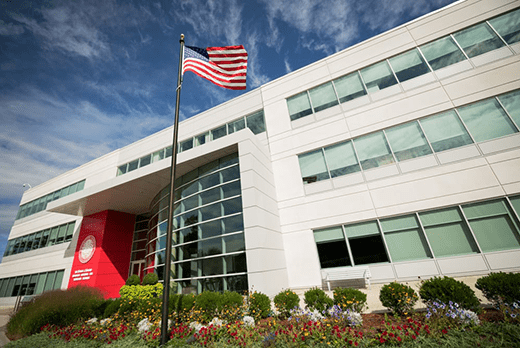 We are located on the Northeastern University Innovation Campus at Burlington, 141 South Bedford Street, Burlington, Massachusetts 01803. Take I-93 North to exit 37B onto I-95 South (also Rt. 128 South). From I-95/Rt. 128, take exit 33A in Burlington. Go straight for approximately ½ mile, then turn right at the lights onto South Bedford Street. Proceed about ¼ mile, then turn left at the red sign for Kostas Research Institute. From the Mass Pike (I-90), take exit 14 onto I-95 North (also Rt.128 North). From I-95/Rt. 128, take exit 33A in Burlington. Go straight for approximately ½ mile, then turn right at the lights onto South Bedford Street. Proceed about ¼ mile, then turn left at the red sign for Kostas Research Institute. From I-93 South, take exit 37B onto I-95 South (also Rt. 128 South); or, from Rt. 3 South, go to the end of Rt. 3 and exit onto I-95 North (also Rt. 128 North); or, from I-95 South, continue on I-95/Rt. 128 South to Burlington. From I-95/Rt. 128, take exit 33A in Burlington. Go straight for approximately ½ mile, then turn right at the lights onto South Bedford Street. Proceed about ¼ mile, then turn left at the red sign for Kostas Research Institute. The Kostas Institute is the three-story building on the right, at the top of the hill. There is ample parking to the left of the building. 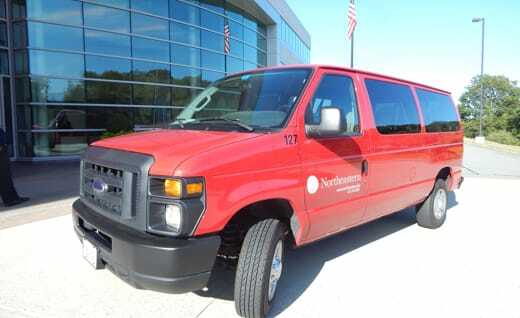 The shuttle is a red 10-passenger Northeastern University van. For questions regarding the shuttle, please contact the KRI Administrative Coordinator at 781-238-8440.